Includes (2) 10-slot Tech Tub 2 units, (2) 6-slot Tech Tub 2 units, metal cart, and a power cycle timer. View 991311 Copernicus FTT432 32-Slot Tech Tub2 Cart with Doors (includes 6 Tech Tubs)This item is no longer available. 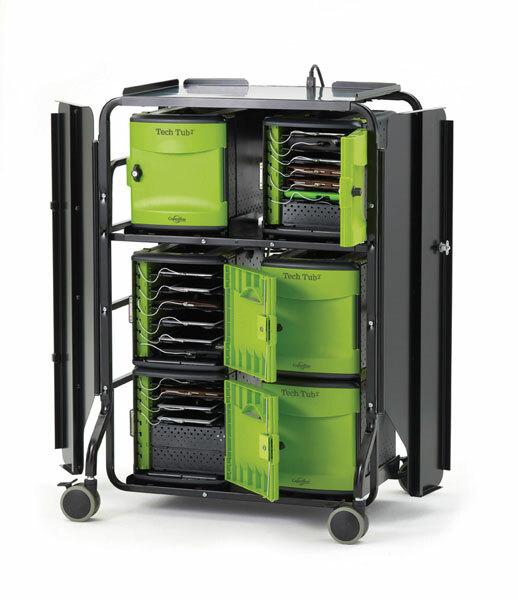 View 991312 Copernicus FTT432USB 32-Slot Tech Tub2 Cart with Doors (includes 6 USB Tech Tubs)This item is no longer available.